Shay Zakhaim gives his take and timeline on an unprecedented situation in the FX industry. ASIC-regulated Union Standard Group Forex (USGFX) recently emerged from a hostage crisis last month, which saw a group of rogue investors storm its office in Shanghai. While the crisis was ultimately resolved with no serious injuries, the group’s CEO Shay Zakhaim explains the unique circumstances and timeline of the situation. Additionally, as a broker in Australia, he outlines his take on the recently updated ASIC regulations touching on client money rules. Can you tell us about the USGFX hostage situation in Shanghai? A group of intruders entered the USGFX Shanghai office and held staff members against their will, in what seemed to be an attempt to extort the company to recoup losses they had incurred whist trading the markets. We are pleased that the ordeal has ended without any major incidents and that the staff are safe and free. What was the background? How did it unfold? – In retrospect, could USGFX have handled it differently, and if so, how? A thorough review is currently under way to determine the specific details of the ordeal, so we will wait for the findings of the investigation before we consider and implement any changes. What would you recommend to a broker contemplating entrance to the Chinese market? The Chinese market is a great market for us. We are very successful over there with thousands and thousands of very happy and satisfied clients over the course of many years. In my opinion, they key contributing factors in being successful in the Chinese market hinge on trust, integrity and value. We are a company who believes in building and nurturing long term relationships – and with that mindset, we continue to grow from strength to strength, and this is something that we are very proud of. ASIC recently released a proposal for new Client Money Reporting rules. Do you have any comments on it? In terms of the proposal for the new Client Money Reporting rules, firstly I would like to say that we see compliance, regulation and monitoring as a very good thing as it is there for the protection and safety of clients and we certainly support rules and regulations which enhance such protections and this is the reason we operate in a regulated space. Being a bigger broker we always strive to keep our compliance over and beyond the actual requirements and always strive to keep one step ahead, so the new rules won’t have a great deal of impact on us, as we are already fulfilling the vast majority of the proposed requirements already. However the smaller brokers won’t be able to hedge and that could possibly put more risk in the marketplace. What are your biggest concerns in the day-to-day running of the business? 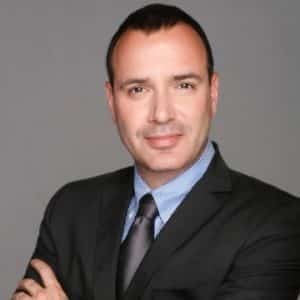 As the CEO of USGFX my top priorities are making sure the company is operating with full compliance of ASIC, that our systems and processes are working 100% for our clients and partners, and ensuring that our operational checks and balances are in good working order, including the effective monitoring of risk. We want traders to think of USGFX as their trading partner, not their broker, meaning we provide clients more than just a platform to trade on. We provide a full suite of educational resources and premium trading tools, with excellent customer service and a fast and superior platform as a base. Not to mention a personal account manager to every single client. Using this approach, we want to continue our growth in Australia and Asia and also launch the brand in other key markets – such as the UK and EU, the process for which is currently under way. After investing quite heavily in technology and infrastructure in 2015 and 2016 to bring our clients super-fast execution speeds and superior trading conditions, we believe the future will still be in technological optimisations, giving clients an even greater edge than before. As such, we will continue to invest in technology and infrastructure in 2017/2018 and beyond, which will tie in nicely with our planned growth and expansion into the European markets.